FloorScalesDirect.com has NTEP certified 5 x 7 5000 lb. 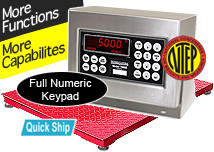 floor scale packages at affordable prices. 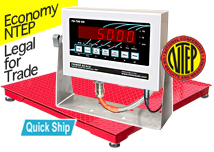 We offer NTEP certified weighing decks and digital indicators, along with all the cables and cords you need to hook up the system quickly and start weighing. These industrial floor scales can be used both indoors and outdoors and feature durable components which are designed for high accuracy. The digital indicator is equipped with advanced functionality and a display optimized with LED digits for maximum visibility. Built-in overload protection prevents your diamond steel weighing deck from damage. Get your order shipped the following business day with our “Quick Ship” offer, and enjoy shipping throughout most of the United States. 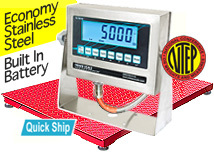 If you’re looking for industrial floor scales for sale, Floor Scales Direct has the 5000 lb. 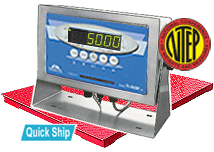 floor scale packages to suit the needs of your business. 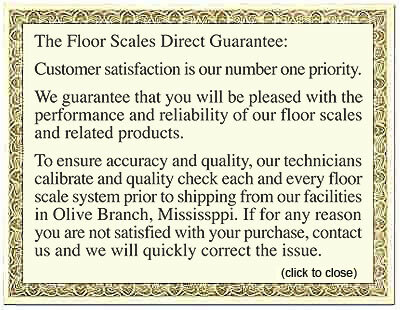 Browse our selection of floor scale packages at FloorScalesDirect.com today.